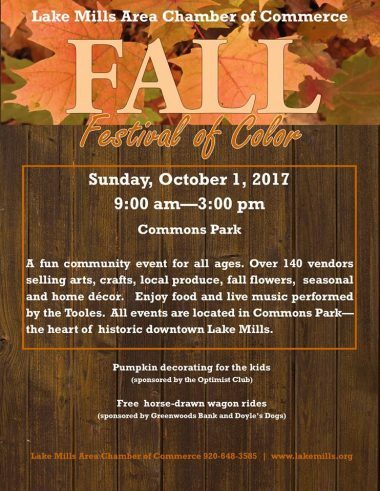 Over 150 vendors will be selling pumpkins, gourds, mums, crafts, artwork, and jewelry. A large variety of food vendors can also be found in the park, all of which are local nonprofit organizations. Back by popular demand will be the musical group Borderlands. This is a great community event for all ages!